I’m Katy, native French, bilingual in Spanish, art, music and nature lover and everyday a little bit more multilingual. I was born and I grew up in a French environment. Nothing in my background could let think I would speak several languages one day: my parents are French, I have no foreign ancestors and I grew up in a small rural village in France. I started English at 10 and Spanish at 12, at school, like everybody else. And yet, as you can see in my videos, I’m bilingual in Spanish, I’m fluent in English and Potuguese. I have an intermediate level in Italian. I’m also learning Japanese & German. My passion for languages led me to prepare a Master’s Degree in Languages teaching and in French as a Foreign Language teaching in particular and another one in Spanish. I started to help people who were learning French and Spanish more than 10 years ago as a teacher. I’ve been working with adults and kids. 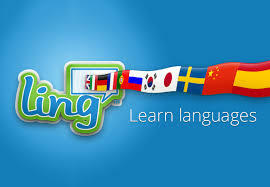 I like learning, and not only languages, and I started to question conventional teaching methods. In this blog I would like to make good use of my experience teaching and learning languages and also raising two bilingual kids, to share with you thoughts, research, fun facts, anecdotes and questions about learning in general and languages learning in particular in order to offer you my personal vision of what happens when we are in contact with other languages and cultures. We all have the capacity to learn whatever we want, no matter our age, even languages. In this blog I’ll also keep you notified about the resources I create to help you learn French and Spanish. Go to my French site and also the Spanish one to see them. And of course subscribe to my YouTube Channel!